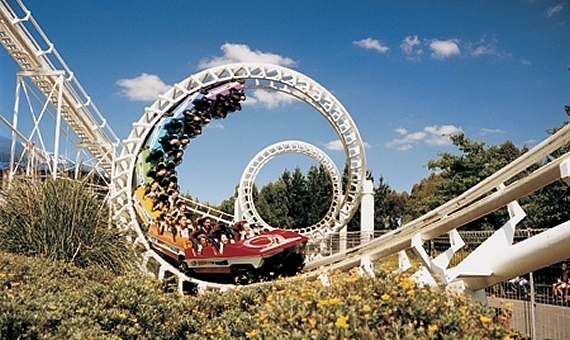 This is one of New Zealand's premier theme parks, with crazy rides and attractions for children of all ages. For those under 10yrs, there's Kidz Kingdom with a host of rides including the space shuttle, car wash convoy, the jumpin star, the carousel and the brand new choco express, surf and swing and the magic bikes. 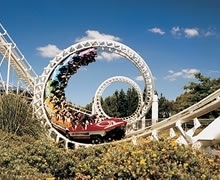 Older kids will scream their lungs out on New Zealand's only double-loop roller coaster, and there's more fun to be had on the invader, the power surge, fearfall, log flume, pirate ship, enchanted forest, and in an abandoned mine. Add bumper boats, cars, and virtual theatre, and the whole family will be glad you came. 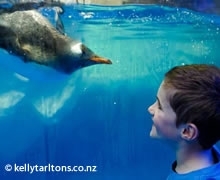 Butterfly Creek is one of Auckland's hottest attractions hosting Australasia's premier Tropical Butterfly House with over 750 free-flying exotic butterflies, tropical fish, birds, saltwater crocodiles, alligators and lizards. Butterfly Creek offers a great family day out. With things to do for both children and parents, everyone will have a relaxing, fun day. Just 10 minutes drive from the Budget Travellers Inn. Enjoy an evening at the movies at the Manukau Village 8 Cinemas, which is a 3-minute drive from the Budget Travellers Inn. Catering to all tastes and budgets with many conveniently located fast-food restaurants. Golf Driving Range. Open 24 hours with a full golf shop. Hiring of all clubs and balls available. With ample light and convenient parking. Shopping is an important part of your holiday. Explore Manukau's wide range of shops, boutiques and markets and take something home with you that will bring back memories. 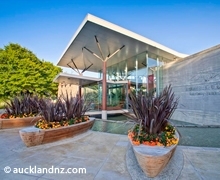 Visit the Auckland Botanic Gardens in Manurewa. Auckland Botanic Gardens is home to over 10,000 plants from around the world, spread over 64 hectares. The gardens are just a 10-minute drive from our premises.